Nandamuri Balakrishna’s most eagerly awaited 100th movie, Gautamiputra Satakarni, is in the fag end of its shooting part. Currently, the film’s unit is canning a romantic duet featuring Balakrishna and the film’s leading lady, Shriya Saran. Popular choreographer Brinda is supervising the dance moves. The shooting is going on at Ramoji Film City. Post-production work is on simultaneously, including the vfx work. Gautamiputra Satakarni is slated to hit the screens on January 12th as a Sankranthi special treat. 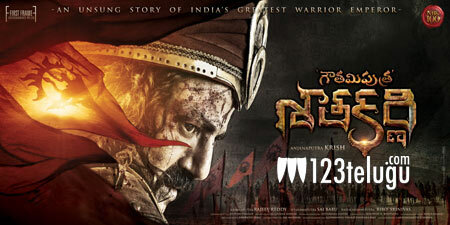 Krish is directing this epic historical extravaganza and Rajeev Reddy is producing it.